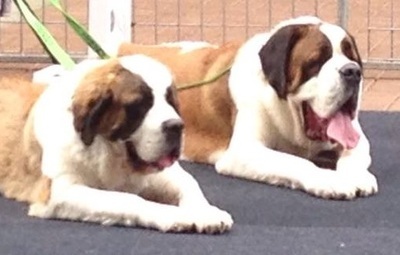 The Club organises an annual Calendar Of Events that aims to offer a variety of activities in which Members and their Saints can participate ranging from educational programs that provide practical skills and information to assist with the quality of life and general wellbeing of their Saints through to relaxed social occasions both with and without canine companions. These events and activities include the Fun & Information Day, Sydney Pet & Animal Expo, Sydney Royal Breed Stall, Dogs On Show day, Club Social, Canine Health Seminar, Club Picnic and Fundraising Days. 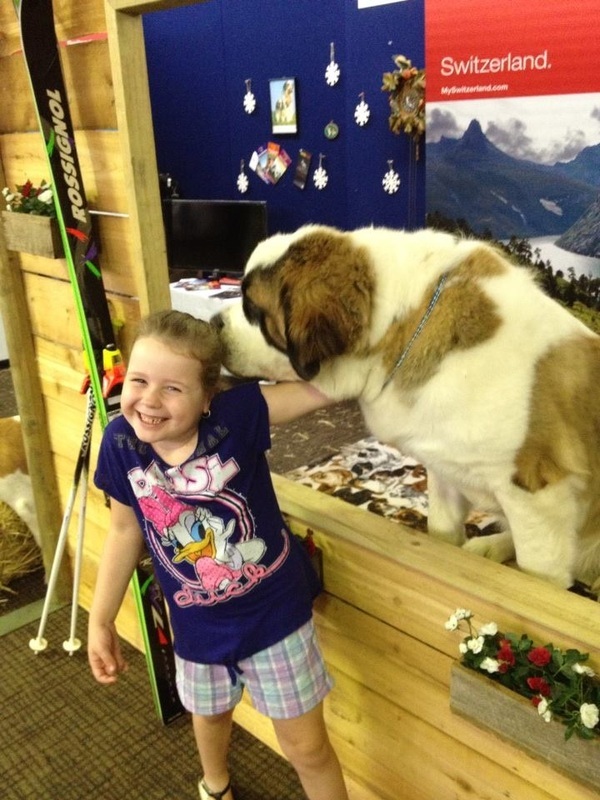 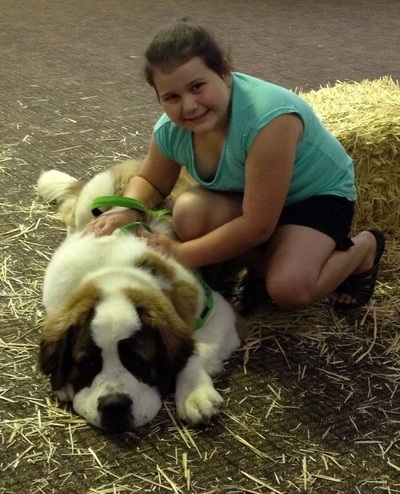 Over the years Club Members have enjoyed actively participating in a variety of commercial events and community activities in order to promote the benefits of living with Saint Bernards as the ultimate pure bred giant dog. We look forward to the next adventure that was planned on the day - the snow trip! On Saturday 8th and Sunday 9th February 2014, the Club participated in the Sydney Pet & Animal Expo. 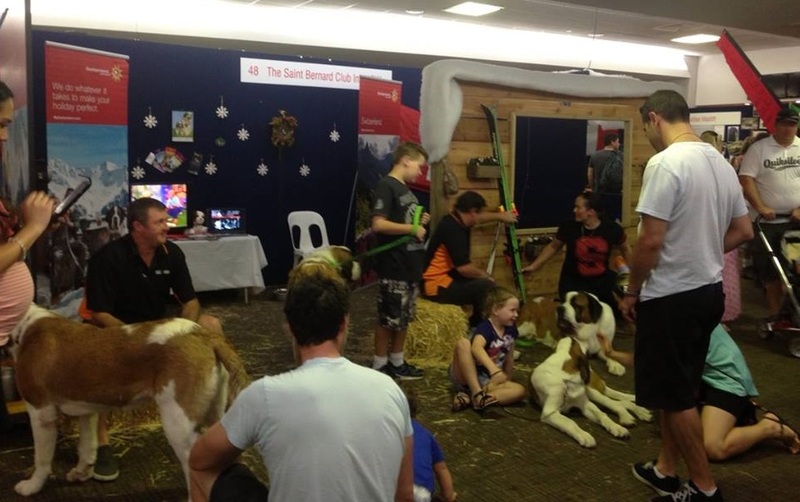 Members, along with family and friends, enjoyed the two days with their Saints at Rosehill Gardens Racecourse and proudly represented the breed and the Club. 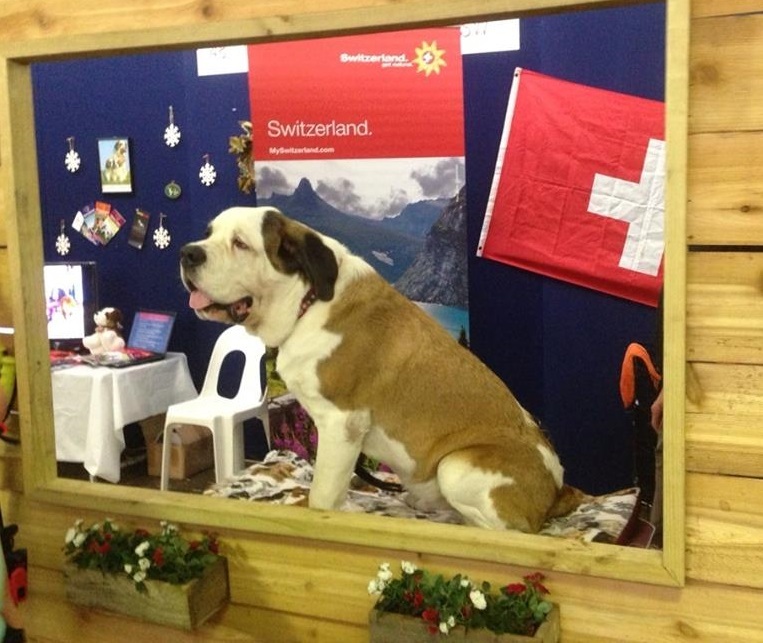 We also had the opportunity to show off our Saints in the Pageant of Breeds and to address the public briefly in the main presentation arena. 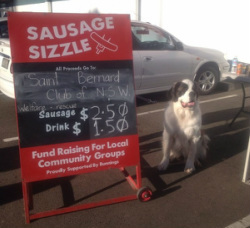 Throughout 2014 the Club has been holding fundraising BBQ at Bunnings Mittagong and at Casula. 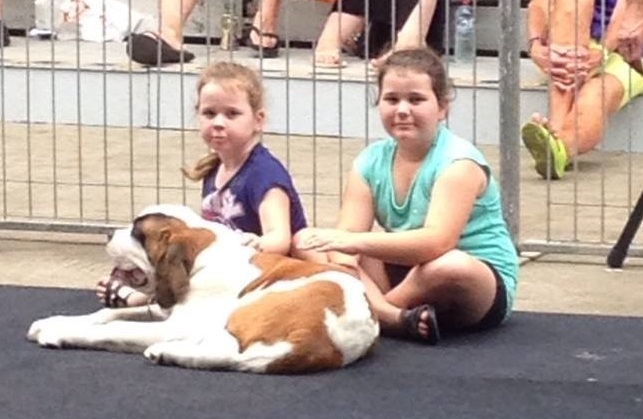 We are very grateful for the continued support of both local communities and the staff at Bunnings as we add a significant sums to our fundraising account.